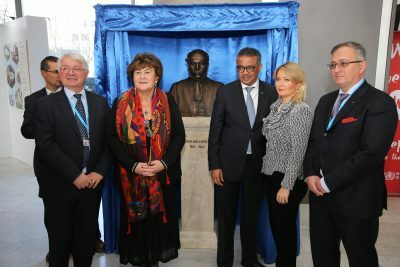 On the occasion of the 200th anniversary of Ignác Semmelweis’ birth, a bust was placed in the centre of the World Health Organization (WHO) in Geneva, in honour of the Hungarian physician. At the unveiling ceremony, Dr. Tedros Adhanom Ghebreyesus, Director General of WHO, and Dr. Orsolya Pacsay-Tomassich, Secretary of State for International Affairs at the Ministry of Human Capacities on behalf of Dr. Miklós Kásler, praised the merits of the Hungarian physician, known as the saviour of mothers worldwide. 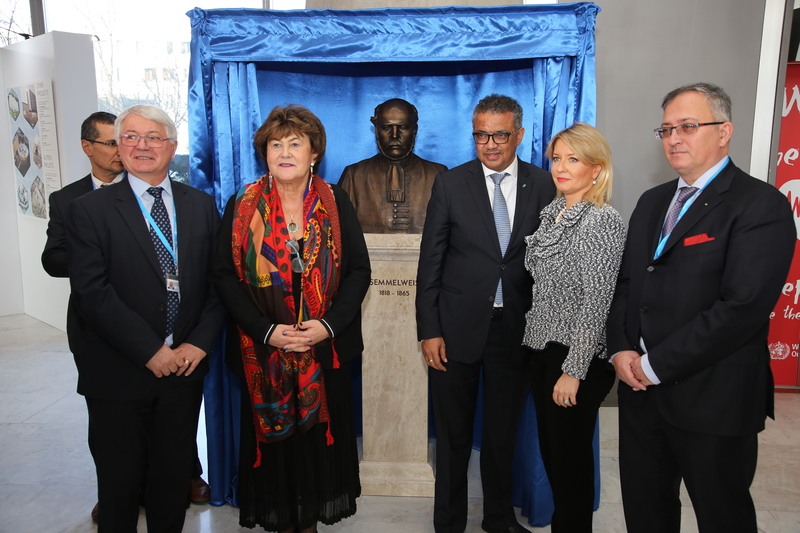 The unveiling of the Semmelweis statue was attended by the heads of delegation of the 144th session of the WHO Executive Board, as well as members of the UN delegations, and senior officials of WHO. 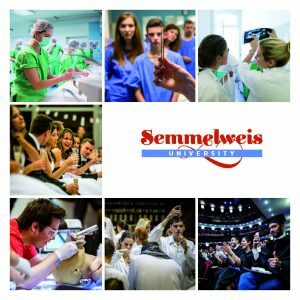 The Hungarian delegation was comprised of the representatives of the University of Szeged and, on behalf of the Semmelweis Memorial Committee, the delegation of Semmelweis University, who donated the statue.